Our purpose-built (and newly extended!) premises in Devizes, Wiltshire. 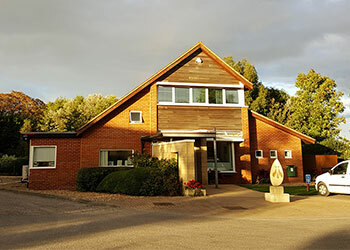 We are an independent, family-owned veterinary practice on the outskirts of Devizes, Wiltshire. Our focus will always be on high-quality, compassionate care. We want what you want: for your pet to be in tiptop condition throughout their life, from birth to senior years, so they can enjoy life to the full. We will offer you the best preventative healthcare tailored to their individual needs, and do all we can to make their visits to us as enjoyable as possible. If they are unwell or injured, we have an experienced team of vets and nurses will care for them, equipped with the latest equipment for diagnosis and treatment. We also have our own experts in orthopaedics (Ian Macqueen) and ophthalmology (Ida Gilbert), as well as a visiting cardiologist (Andrew Francis), so many specialised treatments can be provided here. Most importantly, we will ensure that you are involved at every stage in choosing the best treatment for them. We are always here for your pet 24 hours a day, 365 days a year. Our own vets are on call and our nurses provide the on-site 24-hour nursing care. 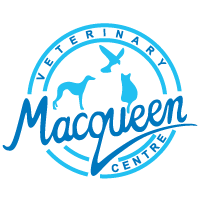 We opened the practice in 1990, with a strong desire to create a companion animal practice that would provide the highest standards of compassionate veterinary care. After out-growing our building in the centre of town, we designed and built our new premises on the edge of Devizes. Each year we continue to grow and develop our facilities allowing us to provide the best possible care for your pet. We have only been able to achieve this by building our amazing team of caring vets, nurses, receptionists and support staff. We all have a passion for lifelong learning and many of our team either have, or are studying for, further qualifications to enhance the services that we can offer you and your pet. "I have seen the very hard work and huge amount of effort that Ian and Jacky have put into developing their practice over the years, gradually expanding it and selecting, over time, just the right people to fit in and continue their policy of loving care." Gemma Bond 💚 a very happy Ralph!